Senic - Part 7/8: Seamless Interactions — Why Our First Product is just Step 1. Earlier we discussed the problems of GUIs and suggested technologies that will become the next generation of ubiquitous user interfaces over the next 15 years. Now we share what we plan for our role in this shift to be (and why we have chosen this path). This is Part 7/8 in our “Building a Hardware Startup” series. If you haven't yet, check out Part 6 to learn about Mass Manufacturing. We’ve written a lot about the obvious and subtle problems of Graphical User Interfaces (GUI), such as smartphones. We’ve also suggested a bunch of technologies that will become the next generation of ubiquitous user interfaces (UUI) over the next 15 years. Now we would like to switch gears and discuss what we plan for our role in this shift to be (and why we have chosen this path). Our learnings from Nuimo Control will directly flow into our next products — having thought a lot about what we want to create, here are three main characteristics that will guide our development of future products. 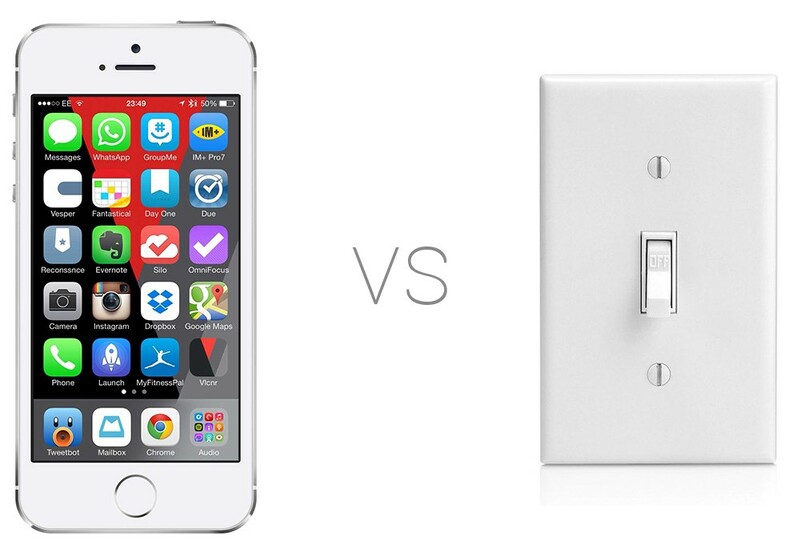 The answer is simple — there are three main ways your smartphone fails against a light switch. It also describes three of the major qualities we care about when we designed the Nuimo, or any future product. Smartphones are less phone and more computer. They are the miniaturized version of the personal computer that carry 50 years of assumptions about ‘good’ user interface design that have been passed down to a new generation of connected devices. One of the most common assumptions is that centralizing tasks and information means greater efficiency for the user. As a result, devices are ruled by menus and folder structures. This approach was carried through to all kinds of applications; including ones that don’t directly require a computer — notably the control of connected devices. If we look at the light switch example, using the smartphone interface required several steps for operation. These include pulling out your smartphone, unlocking it, searching for the right app and opening it to select the right setting. This process is time consuming and a step in the wrong direction when compared with the user flow of a traditional light switch. As a result, when faced with using their phone or walking to the wall to hit a light switch — most users will choose the latter, we have even observed this first hand. It’s simply faster, easier and less distracting to flip a switch than scrolling through pages of apps each time you want to turn on the light. To even compete with the instant interaction of a switch, technology would need to be as fast or faster than these traditional solutions. We want to build tech products that are like this — simple, intuitive and smart. Try to hit a button on your smartphone with your eyes closed… it won’t work. The world offers and incredible array of inputs that our bodies are ready to synthesize and respond to — however Graphical User Interfaces only deal with vision. Again, if you close your eyes and try to tie your shoes or drink from a bottle…It works! Not only that, with more senses engaged you have better ability to perform tasks and multi-task. Using multiple senses allows you to more easily and quickly process information. Consider for a moment, the last time you explicitly focused on operating a light switch. We don’t remember either. Flipping a switch is simple, but you are actually combining vision, touch, tactile resistance feedback in the deeper levels of your hand, the sense of positioning within the room, the auditory click and motor memory. 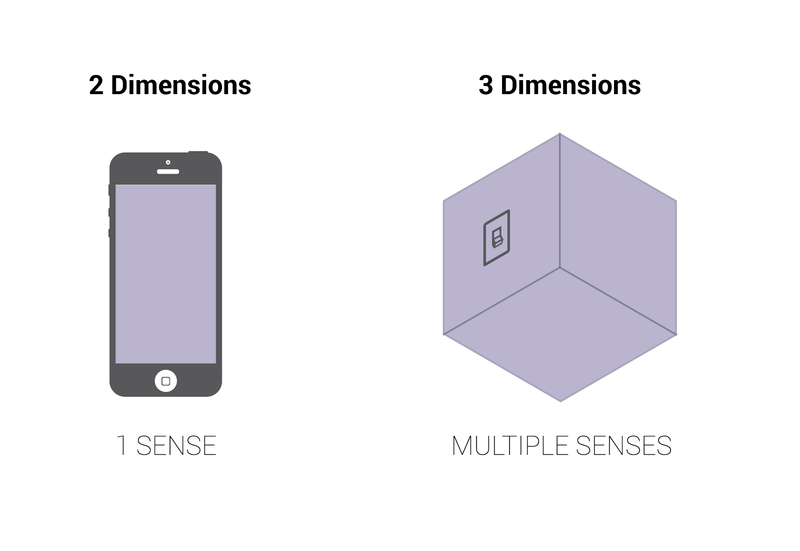 This amount of complex sensory feedback allows the light switch to be fast and intuitive to use — even when you drag yourself into the kitchen at 4am for a glass of water. Nuimo primarily focuses on the hand. Why? Because the hand accounts for 1/4 of our human body’s bones. 1/4 of our motor cortex is purely dedicated to our hand. Hands are by far the most versatile and sensitive part of our body and more technology products should be taking advantage of this. There are a lot of limitations of graphical user interfaces, particularly when you consider the dimensionality of a GUI display. Screen technology has come a long way — getting much cheaper to produce, bigger (and smaller) and generally being integrated into everything. Likewise, screens still fail to increase things like personal health and socializing — they draw excess amounts of attention to themselves and don’t generally encourage interactions with others. Because the screen can display any visual we can think of — it appears counterintuitive to describe them as limited. However, only using screen-based displays discounts a lot of other options. With Nuimo we wanted to display information and feedback through lots of different means making them versatile but not contextless. How do we make the interaction between humans and technology more seamless and natural? 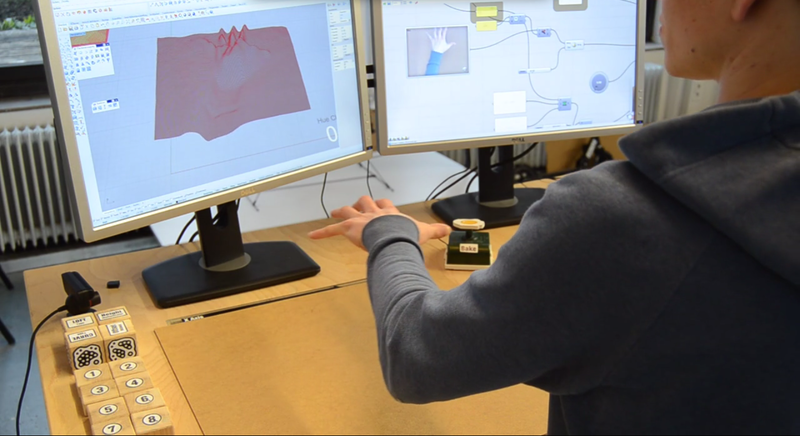 We have spend a lot of time working on different interfaces from haptic input, gesture control to speech recognition. Here are just a few examples with Felix, our Head of Design, in the foreground. Where do we want to start? We see a number of different spaces that could benefit from better interfaces. 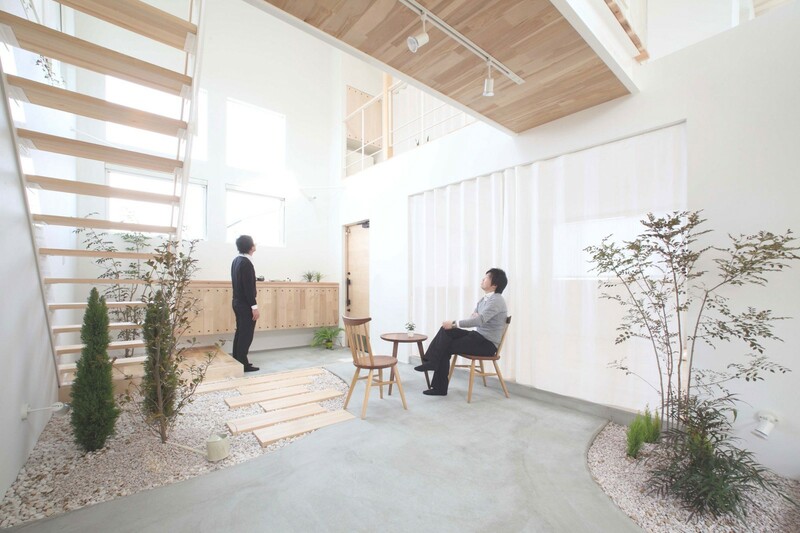 These include the three places we spend most of our time — the Home, Studio and Office. Technology in the home should be making our lives more stress-free. As gadget-lovers and some of the earliest adopters of smart speakers like Sonos and smart lights like Philips, we want to interact with our smart devices with as much ease as our not-smart devices. This means that when we build products, one of our first priorities is minimizing the stress caused by menus and pop up notifications. Likewise, the home is a place for everyone — not just 20–30 year old digital natives. Better methods to interact with IoT devices will open up the world of connected devices to more people because they will be more intuitive to use. As engineers and designers we need to be good and fast at what we do and much of this doing takes place at desk via a variety of computer applications. Current tools are very limiting in this regard, the basic inputs of mouse, keyboard and tablet are only the beginning of possibilities for inputs. When you are asked to sit down and be creative at a computer, we need better inputs to channel that creativity. We see great potential to apply these principles to physical tools that allows us to be more precise, fast and exploit the full potential of our sense when it comes to the tools we use. Figuring out how to control, tweak and manipulate things on screens with multi-sensory inputs is an exciting prospect for us. 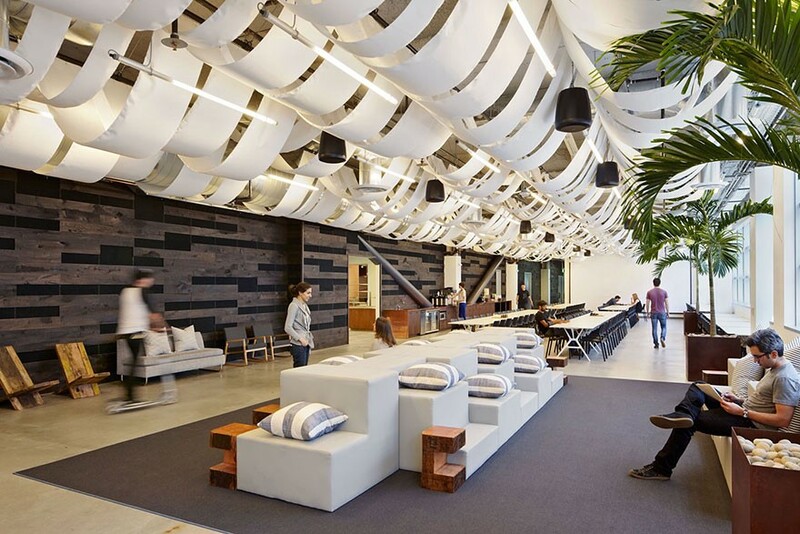 Workspaces have to be both focused and social at particular times and for specific functions. With our learnings from Nuimo, we have spent a lot of time thinking about ways to make technology in the home seamless. We would love to explore ways to make technology useful but not obtrusive in a work environment. As a team, you need the right tools to thrive in a work environment- and we plan to start building some of them. Because information sharing and social interaction at work is still a pain — we see some of our concepts applied to the office space that make the workflow between people fast, active and more fun. We’re excited build a future in which technology supports the realization of full human potential, instead of hindering us or affecting our health and social interactions. Nuimo is just the beginning-- we want to continue to contribute to this dream of seamless and natural interaction and hope you will join us. This is Part 7/8 in the series “Building a Hardware Startup.” Read on to Part 8 for our biggest Crowdfunding Lessons Learned.